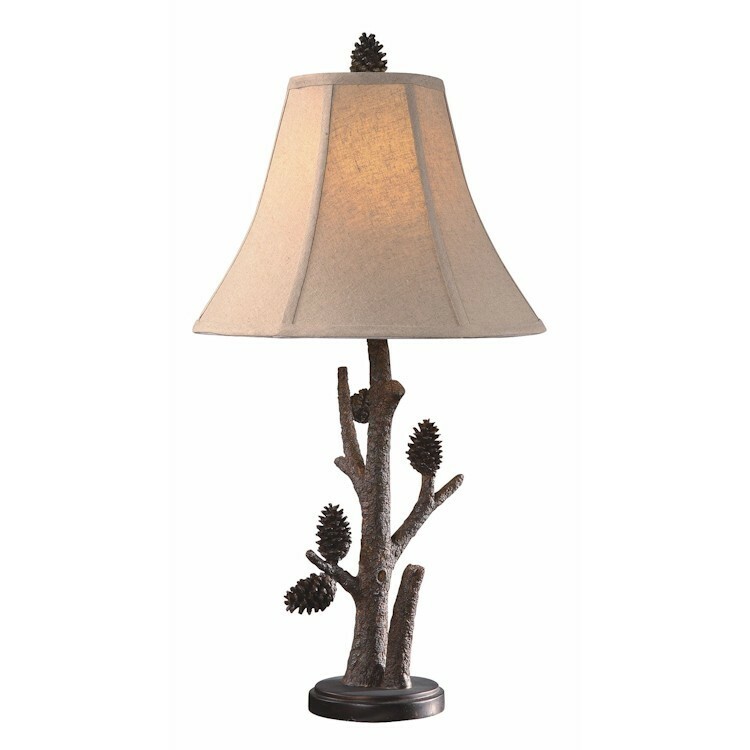 Add the elegance of nature to your home with the Pioneer Pinecone Table Lamp. A russet woven bell shade is perched on top of the resin base. A bark textured finish and 3-D pine cones accent this rustic table lamp.